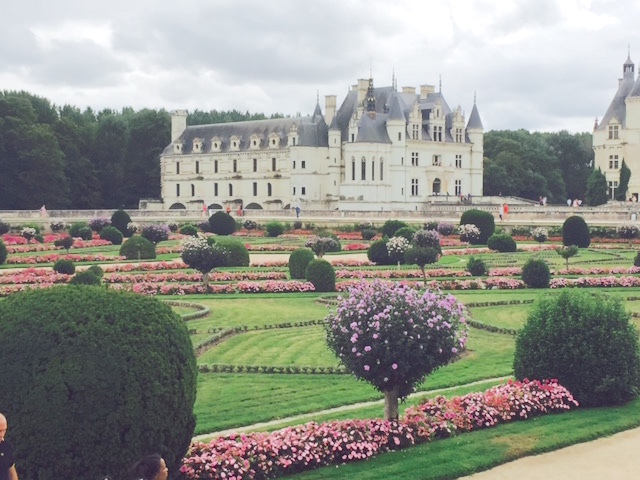 Château de Chenonceau's beautiful gardens are classic French design with rose tree topiaries, rows of lavender, sculpted boxwood spheres, raised stone urns, and symmetrical planting patterns. Many French garden designs require intensive labor to maintain, such as trimming sculpted boxwoods or rose topiaries, frequent lawn mowing and edging, and rigorous upkeep of gravel paths and walkways. If you would like to have French design in your garden, but do not have the time or resources for intensive labor, take heart. 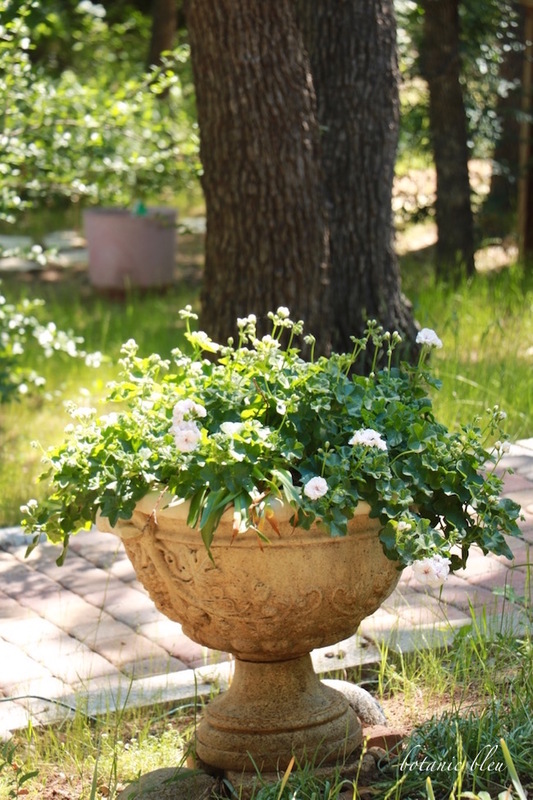 One of the easiest classic French design garden styles to duplicate in a small space, and without needing a full-time gardener, is a raised stone urn. 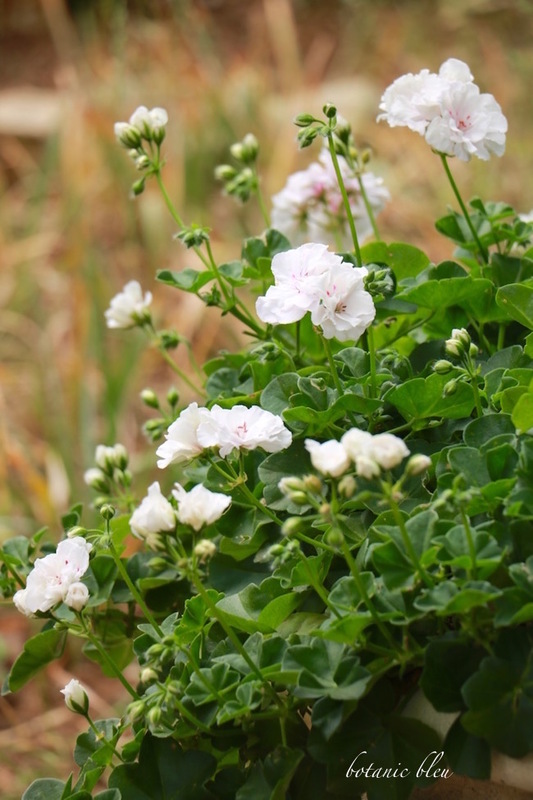 Geraniums bloom profusely throughout spring, summer, and into fall until a killing frost. 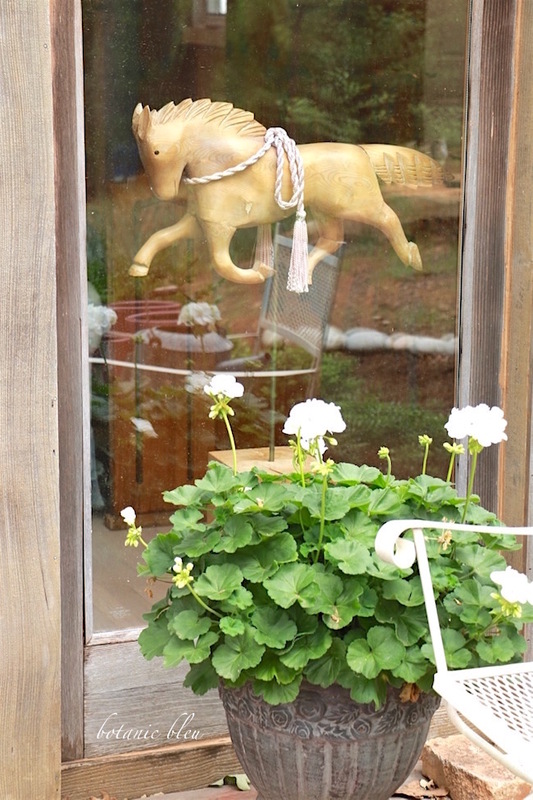 They come in many colors making it possible to fit most garden color schemes. 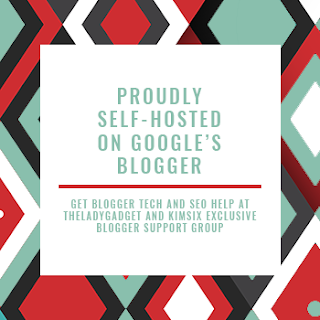 Red, white, pink, and variegated... 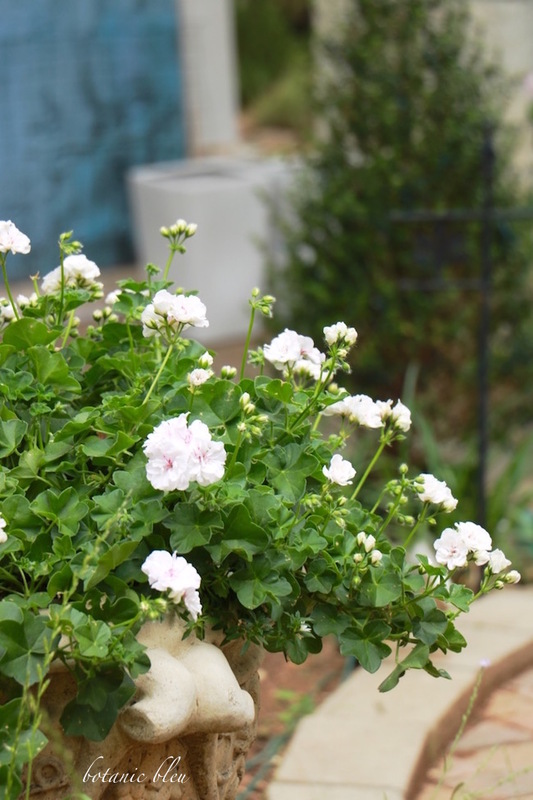 In addition, there are options for scented geraniums and for trailing geraniums. 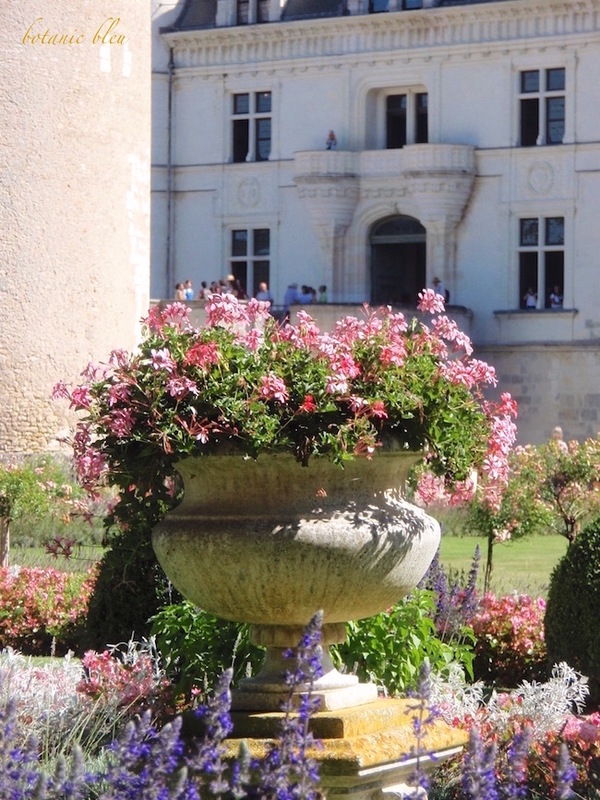 After seeing the potted geraniums at Chenonceau again last summer, I began thinking about planting geraniums in our garden at home. 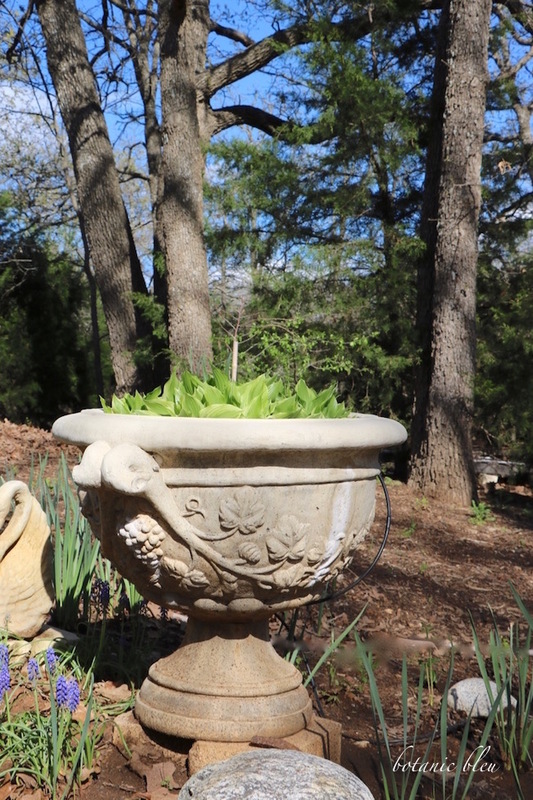 We already had a similar footed stone urn filled with hostas last spring and summer. 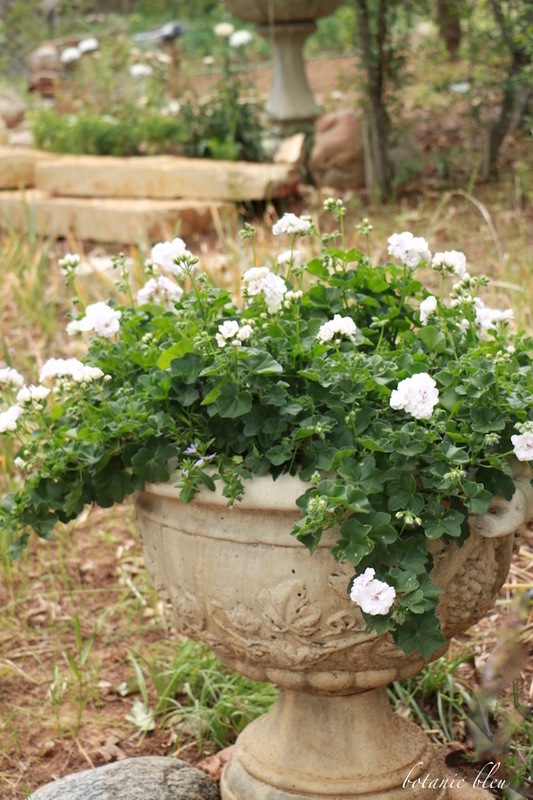 In mid-March of this spring, we filled the urn with trailing geraniums and a few other blooming plants. 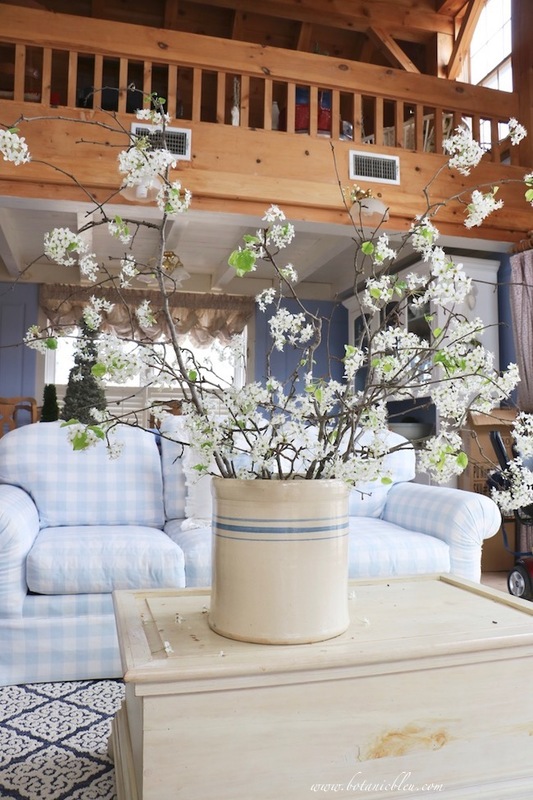 By late April, the plants were covered in buds and spilling over the sides of the urn. From a distance the flowers look white, but are not pure white. 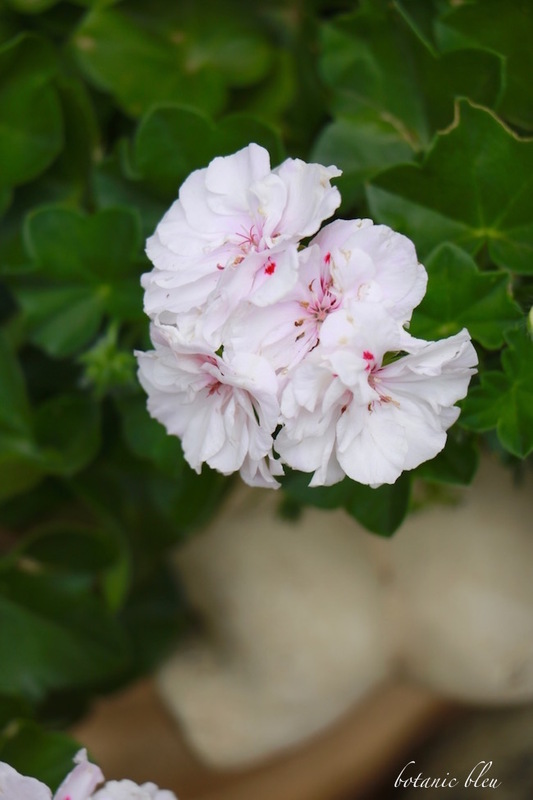 The outer petals are white, and the centers are pale pink with flecks of deep rose. Periodic applications of fertilizer this spring yielded an abundance of flowers by the first week of May. 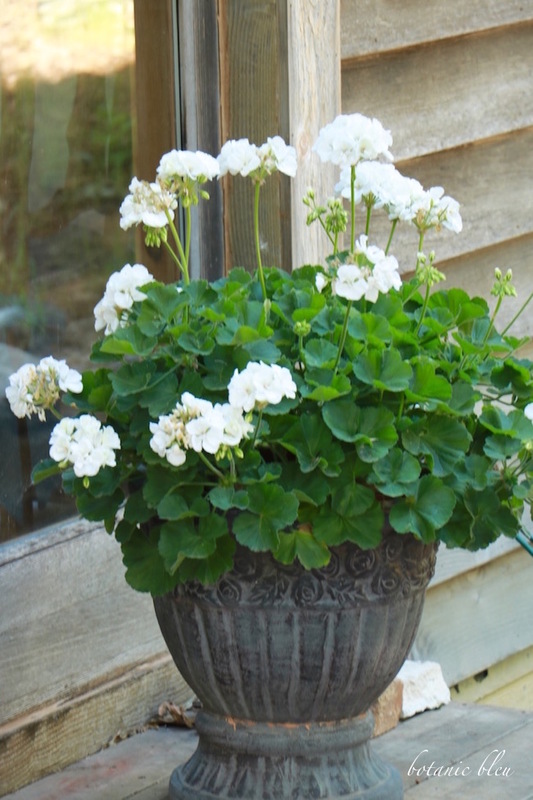 Standard white geraniums fill a black footed urn on the deck. Both the large urn and the black urn receive morning sun followed by afternoon shade from either the house or large oak trees. 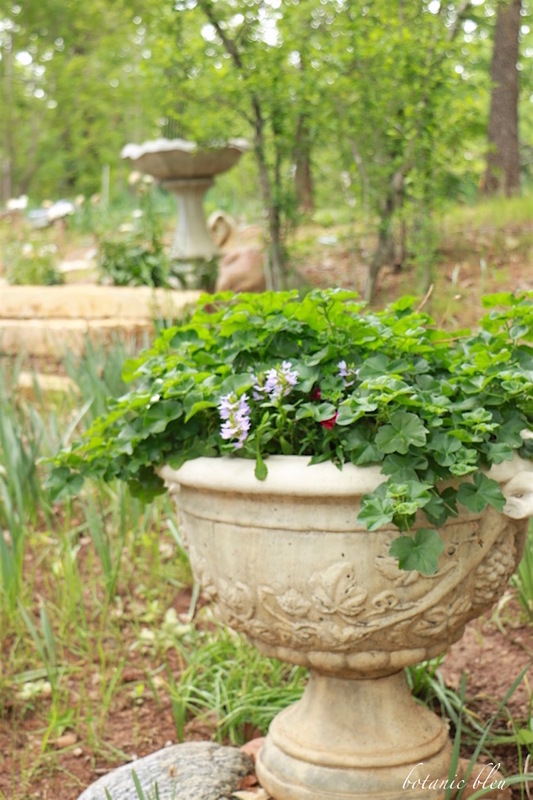 With supplementary watering and continued fertilizer applications this summer, both urns of geraniums should bloom until the first frost. Then the plants will over winter in the green house. We do not have a full-time paid gardener. I have to tell you my sister is the one who whispers to plants... and who works her magic in getting them to look so fantastic. I mostly do a little watering and admire her green thumbs. She comes by her love of gardening naturally. Our grandmother was the first gardener either of us remember, and she passed on her love of gardening to our mother, who passed on her gardening skills to my sister. I inherited the love of flowers, but have not developed the skills needed to nurture plants like my sister. and love traveling to France to see it first hand. 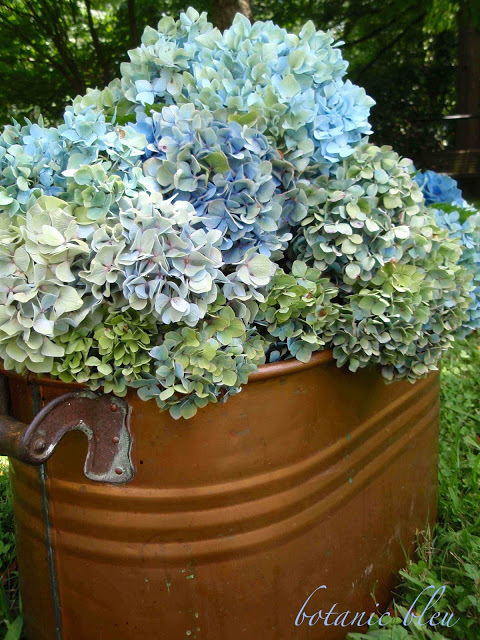 If you love hydrangeas, or antique copper, pop over to see the copper pot filled with hydrangeas from our mother's yard. 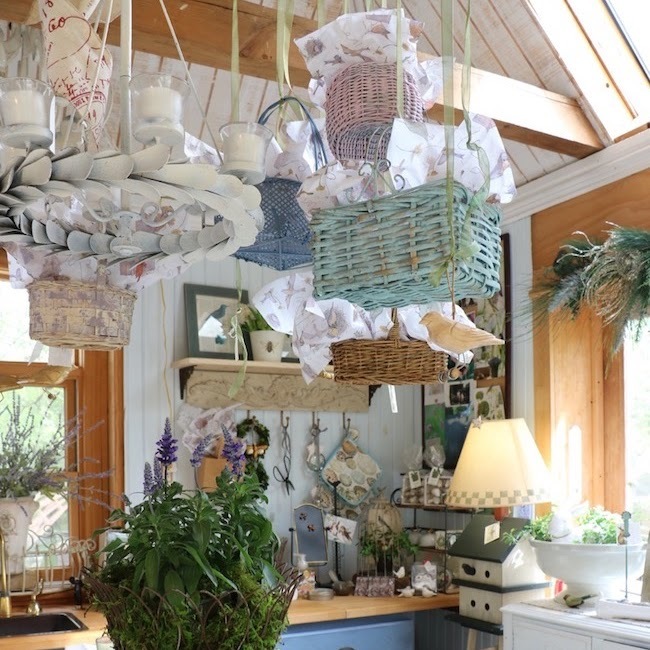 For more French country flowers, see my Pinterest board, Country French Fleurs. 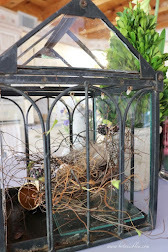 Come back each Friday for more photos of French design with ideas of how to incorporate it into your home and garden. Bonjour Paris newsletter reports Paris "Love Locks" to be auctioned for charity on Saturday, May 13, 2017. Wouldn't you LOVE to have a romantic souvenir unique to Paris? I need to find some gorgeous urns for our garden! 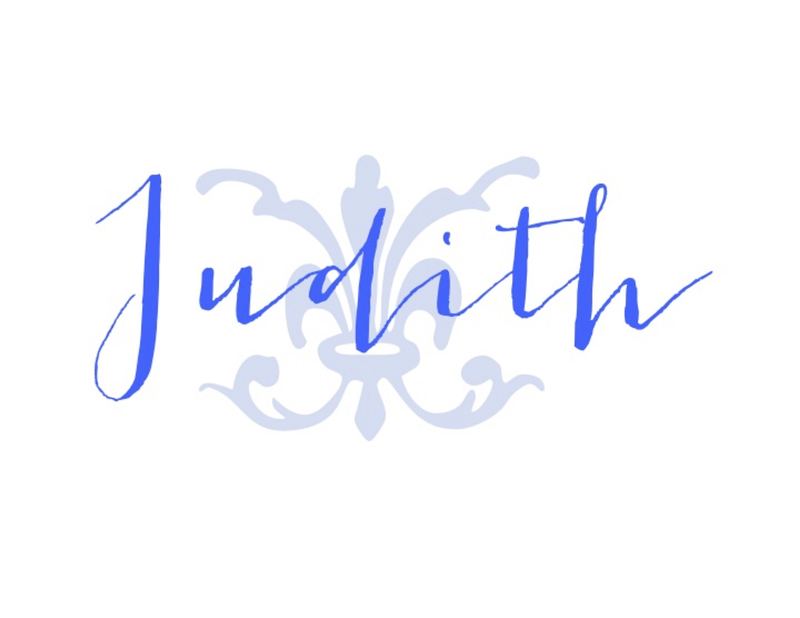 Judith, I plant white geraniums in our urns and pot every spring. They often don't make it through the summer heat, but I enjoy them till then. They are one of my favorite plants. The fragrance reminds me of my childhood. I was fascinated with these blooms. Beautiful pictures, as always! I never cease to be amazed at the beauty and precision of the French gardens. Not a blade of grass out of place and so carefully tended. Geraniums....you are talking my language! 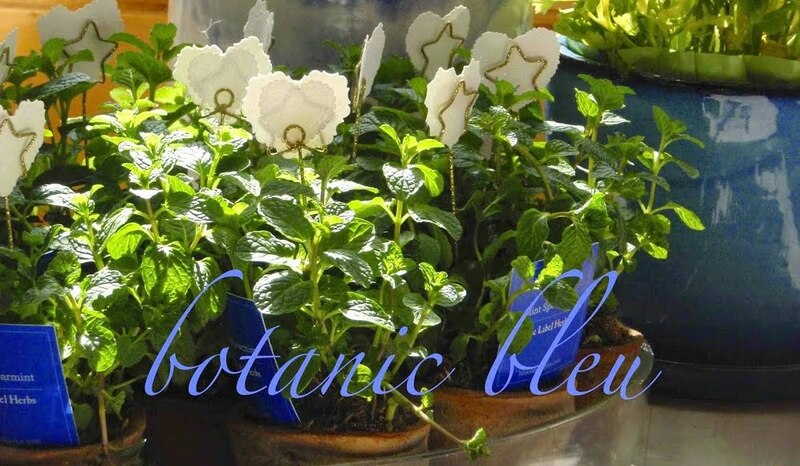 :-) I have them in pots and have started keeping them outside all winter due to our recent mild winters. I think I put them in the garage a grand total of 3 times, and just overnight. I need to get some like yours because they look absolutely lovely. 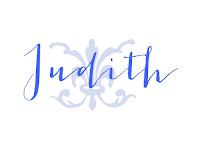 Hi Judith, This was my favorite chateau to visit. We were there in the fall and missed the spring and summer gardens. 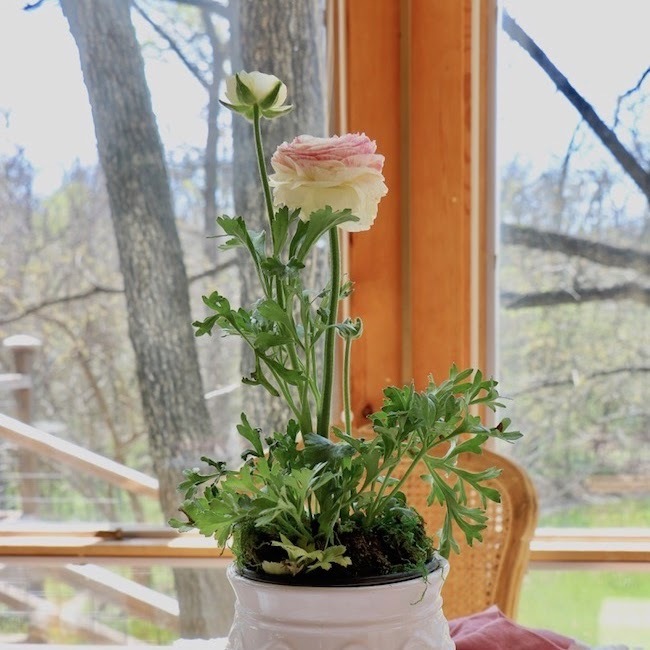 Love your geraniums, the lovely white with the pink center is lovely. 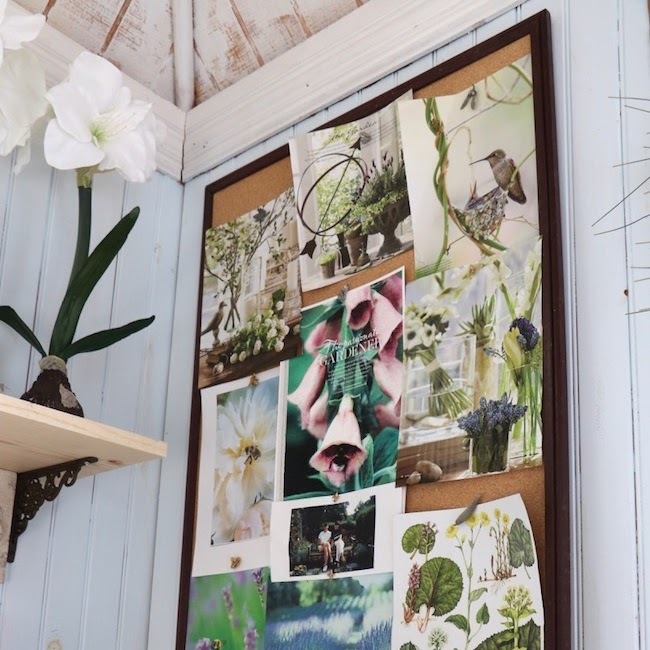 French gardens always offer inspiration. Thanks for the pics, brings back great memories! 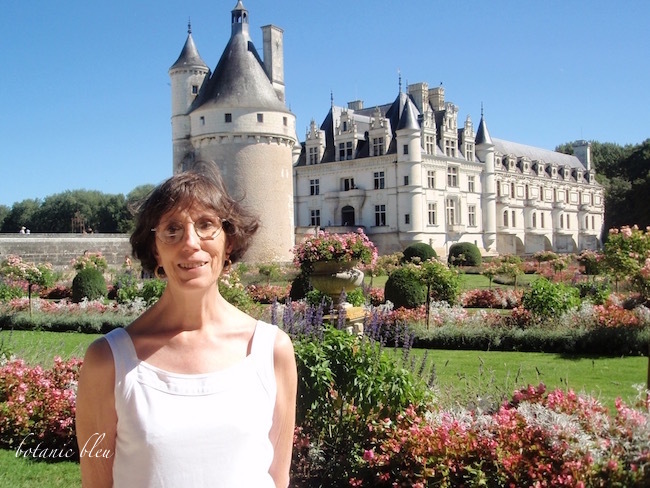 This gorgeous chateau is on my must see list. You have recreated a gorgeous garden element with your lovely urn.